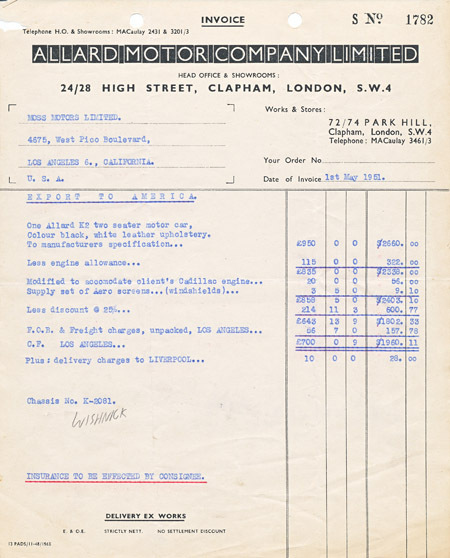 Today's post is a pretty rare item...a factory-dealer invoice for K2-2081 stating the features ordered, along with the 25% discount. My favorite part of this invoice? The black box letterhead. Click here or the photo below to view the pdf.